Our society has largely turned into one big mess. The fundamental pillars that build any civilized society have long lost its identity in our case. While harmony, respect to other’s opinion, freedom of speech, equality to all should be the norm of the day, it has long been hijacked and replaced with hatred, intolerance and appeasement. We not only have replaced the core ethos but also have the audacity to flaunt the wrong and advocate all to go by their own way if the requirement arises. We all have opinions so strong that we have long forgotten that there is something called ‘Agreeing To Disagree’. Instead, for most of us it is either my way or the highway. Instances are plenty when we have turned violent if our demands, opinions or heck even our sentiments are not properly addressed. How this happened? While the precise reasons are pretty much farfetched, there are ample examples of us going nuts at the drop of a hat. The people whom we elect to rule the nation are unfortunately at the forefront in flaunting their intolerance for every damn thing that is remotely associated with them. Look at the recent arrest of a Jadavpur University professor for absolutely no crime. While one is allowed of his opinion as long as it is not disturbing or vulgar in literal sense, the professor in question was apprehended for not making either of them but daring to question the ego quotient that Mamta Banerjee possesses. Interesting enough the poor professor realized the ego quotient of Didi the bitter way. Honestly the cartoon for which the man was arrested contains nothing untoward that should even call for a questioning, let alone the arrest. But surprisingly the lady with an overzealous attitude made a mountain out of a mole and in her frantic pursuance of that one-upmanship, acted in such haste that we don’t even expect the roadside ruffians to exercise. A person who happens to be a politically elected representative honoring no lesser than the Chief-Minister’s chair is not expected of this ego showcasing. This is so unlikely of someone who calls herself as a so called leader and swears by the ‘Maa, Maati, Manush’ punch line. Truth be told, if the intolerance indexes of all our political figures are taken into account, one shouldn’t be surprised by an ounce if Mamta Banerjee tops the list. She has got multiple examples to her credit where her ego has taken the better of her sense, maturity and governance. In her attempt at breaking yet another intolerance world record, which we all know by the name of ‘Vendetta Politics’, she stopped the supply of all those dailies in various government institutions (that also includes libraries) which had some history of towing the CPM’s line. Going ahead, I am told she has also decided to rewrite history since she wants Karl Marx and other communist leader's names be stroked out from all government supplied books. While the crime rate and other social stigmas like women safety and child mortality has increased significantly since she took oath, with her own party cadres are all over the place creating ruckus, she is busy garnering and flaunting her ego everywhere than seriously introspecting on the type of governance she has promised to the masses before the elections and what she has delivered. That is how intolerant a CM one can see where she conveniently blames CPM for every wrong that is happening to the state in her regime but takes personal interest in getting the poor professor arrested for perhaps speaking the truth through his caricature. I hope none has forgotten the bizarre Salman Rushdi saga during the Jaipur literary fest. While the same man has come to India many a number of times to address at various platforms, including a full house of our parliamentarians; he got this objection from a certain section of the society on his proposed visit. The classic case of intolerance of an entire community came to the fore which eventually forced Salman Rushdie to cancel his visit or may be the organizers asked him to say so or whatever. For a crime if it can be ascertained, Rushdie has spent most part of his life in exile and hiding since he published his controversial book a good couple of decades back. More than 20 years since but the intolerance among his own men form his own religion hasn’t died down. Blinded by the self-serving purpose, few managed to hoodwink a hell lot others in the name of religion yet again to protest against the scheduled visit. While the same man has visited way many number of times earlier to this country without a single soul making any kind of noise, the latest visit was blown out of proportion by design and to protect their much preserved votebank the government in power rhymed along the protesters and allowed the intolerance to get the privilege. If anything, a very bad precedence was set by none other than the government in power who claim themselves to be highly secular in their act, actions and speeches. Intentionally for political gain, intolerance was given preference over mature and sensible thinking all the while feeding the intolerants with enough self believe that hatred does make wonders in fulfilling some mollified intentions. The way whole of Maharashtra reacted on Shivaji’s controversial book is worth mentioning on any platform that is debating on global hatred. James laine’s book on Shivaji was banned by few hate mongrels who even didn’t cared to flip through couple of pages at least before showcasing their anger. Conveniently enough, the then government decided to flow along the agitators than standing for the freedom of speech. Imminent political gain yet again came in the way of mature governance and the book is banned, without even been read once. The hatred didn’t stop right there at the banning of the book. As part of acknowledgement since the book has taken the name of a Shivaji memorial library of Pune, the agitators and so called worshipers of the great man went ahead vandalizing the institution established in memory of the person they were agitating for. No one was asked a single question on this hara-kiri, nor anyone was brought to book for such blatant disrespect for the law of the land. 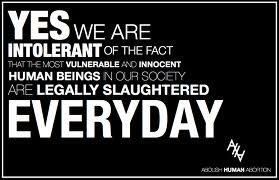 Individual intolerance yet again took better of every sensibility that defines a mature and responsible society. The examples are many and as I mentioned earlier, reasons are farfetched. While earlier you were speaking your mind and heart on things that was affecting you and the nation, now truncheons are conveniently installed at various places as many have become a lot less tolerable. You can’t criticize the Member of Parliament, the dysfunctional government, the rampant corruption or for that matter even on any member of a particular family. People have become less resilient to digest the truth so much so that a union minister tries his best to bring in checks and balances on what you post on your Twitter, Facebook or on your personal blog. Top executives of online social websites are called upon to adhere to the dictate of the government since the ego and intolerance of few people is bigger than the national ethos and architecture of free speech. You are literally ordered to speak what others want to hear since a derailment in there hurts their sentiments and hence calls for serious counterattack and rage. How this happened? Who to blame? Who is responsible? Of course there are those who are more responsible than others and they would certainly be held accountable. But again truth be told, if you are looking for the guilty, you need only look into a mirror. People always follow their leaders and our so-called leaders, irrespective of political affiliation have shown mental and moral bankruptacy while facing any form of criticism! You write against Shivaji, Maharashtra is in flame, You write against Periyar, Tamilnadu will burn, you write something to offend Muslims, India will burn, list is endless. Not mentioning here the BJP or right wing does not mean thet are virtues personified, they have shown equal amount of intolerance. The basic flaw is how democracy is deployed in India, as rule of law is servant to powerful, who bend the rule as per needs. So whenever anyone feel bad about something, instead of judging the issue with a rational mind, some political lout will exploit it for his/her gain. Story is same everytime and issue of equality, justice and rule of law take a back seat. I am sure many in West Bengal will vouch for fact that there was semblance to governance with left front, Mamta is complete waste, always keen to pick up fights like a street goon. Same goes in every state, we have one character or other willing to fall to unbelievable depths! And these leaders have created such a corrupt system that no sane person can think of entering politics considering the cost of fighting an election! Each of your word is TRUTH, I feel so much of pain when i see the condition of my motherland India. I literally don't have words to express my feeling today after I reading this article.I guess your words are the most suitable one to express my feeling, but you know what, this is just 10% of my expression. I feel like hold each of politician's and people like these under my foot, tear their ear apart and shout as loud as possible "For god sake stop rapping India"
" Empress new clothes are not protecting her modesty "